While investigating material for a new project on borders and national boundaries I came across interesting work from Patricio Gonzales, building on the StreetExplorer from Paul Wagener. 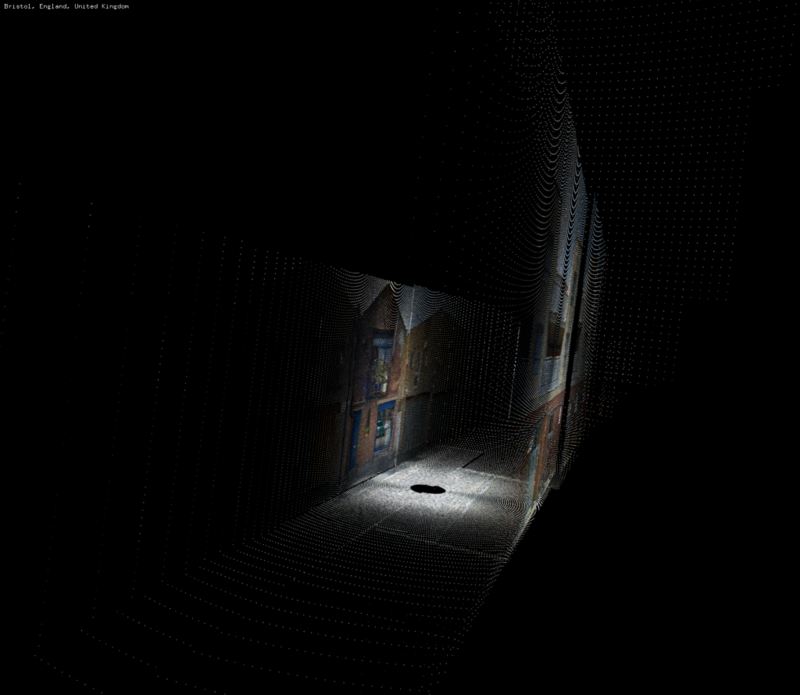 After some experimentation the hack now builds vectors of 3d meshes and allow orientation to match them up. 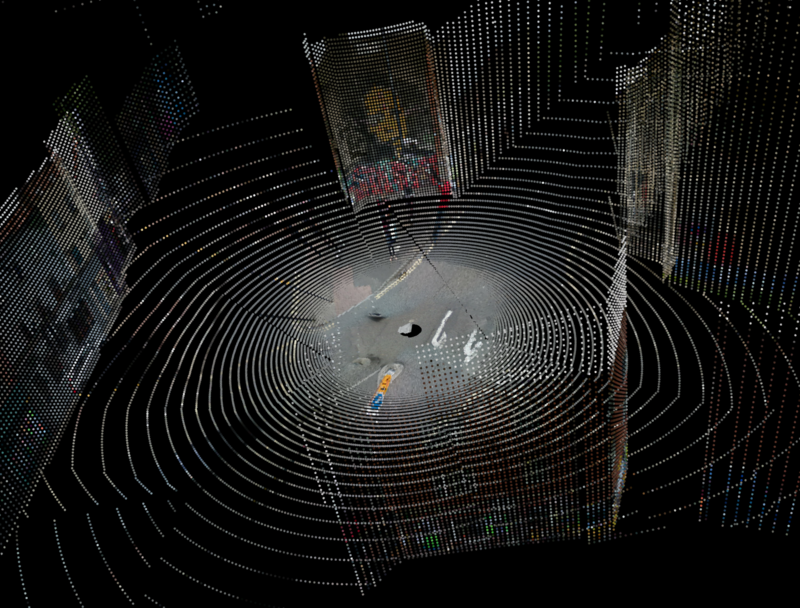 3D point cloud live rendering, Stokes Croft, Bristol from Daniel Buzzo on Vimeo. 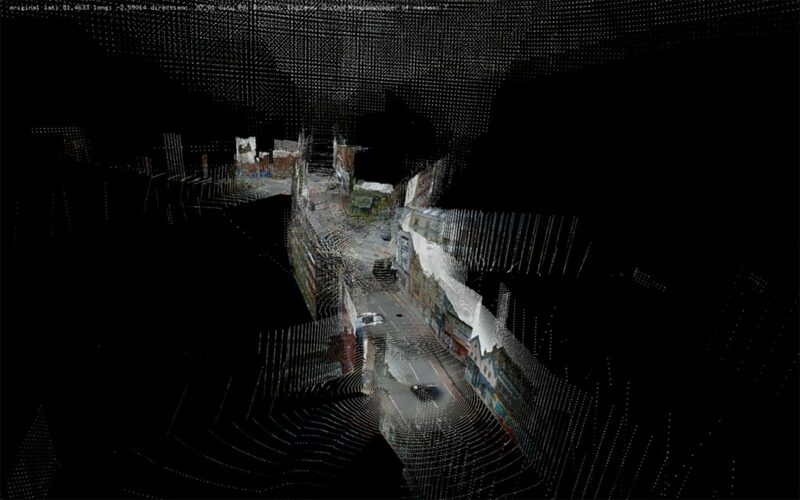 Having discovered there is base64 encoded lidar depth data inside google street view images. 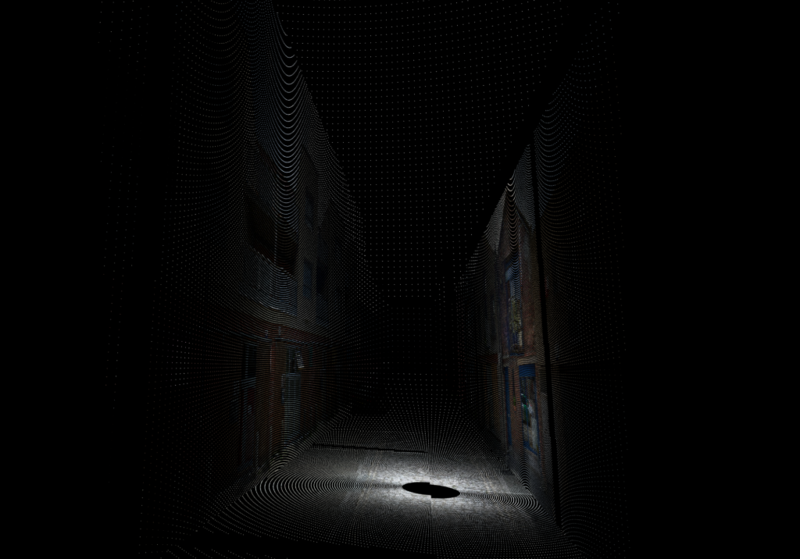 Exploiting this Patricio built an OpenFrameworks addon ofxStreetView which I have been playing with toward a new project. Previous What do we Know of Space and Time When all we can Know for Real is Here and Now?